While choosing to follow the Paleo diet entails a wealth of benefits for your health and general wellness, one of the downsides for many people is the time-consuming requirement of cooking all of your own meals from scratch. The task of constantly shopping for locally-sourced ingredients and cooking fresh meals can be quite an ordeal, especially if you have a busy schedule or a growing family to take care of. However, there are a number of convenient solutions available to you in the Syracuse area which can reduce your frustration and make your Paleo experience more enjoyable. The following guide will cover both national as well as some local options which will deliver Paleo meals straight to your door in the Syracuse area. The local companies are based in the region while the national companies are based throughout the country and provide great options for long-term meal planning with all national companies offering delivery straight to your door in Syracuse. No matter what your situation may be, rest assured that one of the companies listed below will have a solution to make it more manageable. We’ll start by looking at local regional companies which offer Paleo meals for delivery within the area. Unfortunately, we couldn’t find any local companies based right in Syracuse that will deliver Paleo meals. 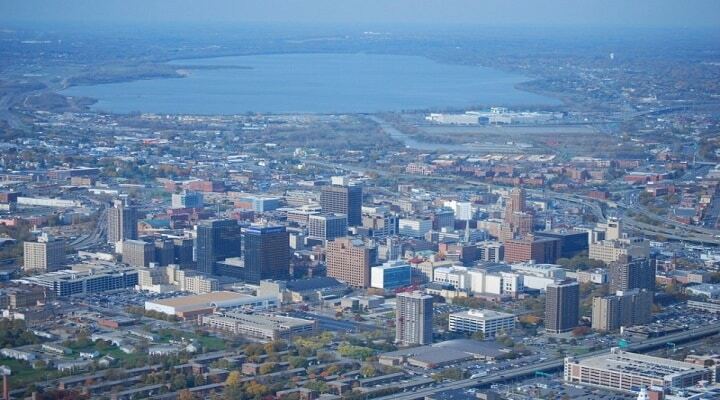 That said, we did find a company in the region, based in Rochester that you may be able to coordinate with. 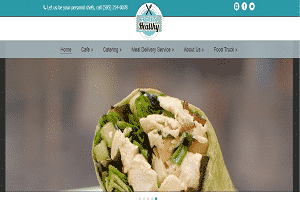 Although not a local Syracuse company, Effortlessly Healthy has run a Paleo food truck, delivery service and personal chef service out of Rochester. It may be possible to either coordinate with them on options for meal delivery or alternatively, pick up meals from one of their pickup locations the next time you are in the Rochester area (and potentially stock up and freeze the meals). Effortlessly Healthy started as a Paleo food truck in Rochester and then expanded to a meal delivery service that offers delivery to Syracuse. The owner, Shaina Sidoti, healed herself from a medical condition following a Paleo Diet and created the company to help others who are attempting to transition to this healthier way of eating. Menu’s feature wraps and healthy “trash” plates, as well as other healthy items. 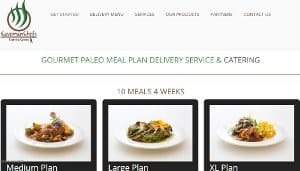 If you are interested in working with a local company for food delivery of your Paleo meals, Effortlessly Healthy could be an option for you. In the next section, we’ll cover a number of national companies which deliver Paleo meals to any address in the Syracuse area. These companies all work hard to offer chef-created Paleo meals with as few extra steps in the supply chain as possible with a minimal level of hassle on your end. However, all seven of the companies below also offer unique characteristics which distinguish them from their competitors and ensure that there will be an option here to fit your needs. Paleo on the Go is a national meal delivery service offering meal delivery to Syracuse and which is held in high esteem throughout the Paleo community. They have consistently won awards for their service, and have often partnered with notable members of the community, such as The Paleo Mom, on meal recipes. In addition, Paleo on the Go pledges to buy every item on the EWG’s “Dirty Dozen” list organic and ships all of their meals fresh to the Syracuse area in refrigerated cooler boxes. Plus, you can’t go wrong with a company that offers “Paleo Pop-Tarts” on its menu! Trifecta is a good place to start if you are used to buying all of your food organic. This company uses 100% organic ingredients in all of its meals and also offers free shipping to Syracuse residents on every order! Their popular Paleo meal plan includes meals for all seven days a week, with a menu that refreshes on a weekly basis – ensuring that you won’t fall into a culinary rut with your daily meal schedule. Plus, Trifecta also offers a number of non-Paleo meal plan options, which is perfect if you have family members or friends who would like to eat healthier without making a full commitment to the Paleo diet. 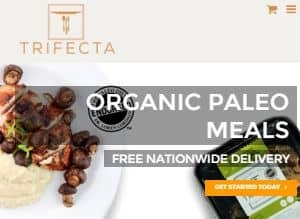 See trifectanutrition.com for current prices for their Paleo and organic meal delivery Syracuse offerings. For our detailed write up on Trifecta including reviews, see our in-depth coverage on them. The Good Kitchen offers a wide variety of customizable options in its meal plans, making it a great choice for those with specific tastes or meal planning preferences. First, you get mix and match meals from a variety of menus, which are divided based on the main ingredients used in their meals (i.e. Beef, Pork, Chicken, Seafood, Vegetarian). Then, you have a number of customizable delivery options, including the number of meals in each shipment (minimum of 5) and the frequency at which your meal plan shipments will be delivered (weekly, bi-weekly, or monthly). You even have the option ordering from a Primal menu which restricts the Paleo diet to its core essentials. 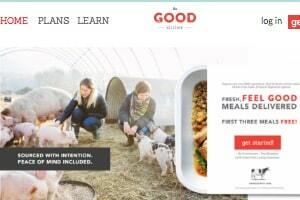 See thegoodkitchen.com for The Good Kitchens complete menu and list of healthy meals delivered Syracuse / nationwide plans. With Eatology, followers of both the Zone and Paleo diets can treat themselves to a national delivery service which combines the requirements of both. This service makes all of its meals in compliance with Paleo standards, while also striving to achieve the perfect balance of macronutrients in order to create meals which promote weight loss as well as general health and wellness. They also package all of their meals in serving-size “blocks,” which manage portion sizes in order to prevent overeating. All of Eatology’s meals arrive in the Syracuse area frozen in dry ice, but are able to be heated in either a microwave or a conventional oven. See http://www.eatology.co for Eatology’s Paleo-zone plans and pricing, including nationwide plans for healthy meal delivery Syracuse options. Pre-Made Paleo offers a tailor-made meal delivery service for followers of the Whole30 program in addition to the Paleo diet. This is especially true considering that the company’s head chef, Richard Bradford, is also the creator of the recipes in the popular Whole30 series of cookbooks! In keeping with these impressive credentials, Pre-Made Paleo turns out seriously high-quality, healthy meals every time, with the presence of unique options like wild elk and water buffalo making its chef-curated menu stand out even more. 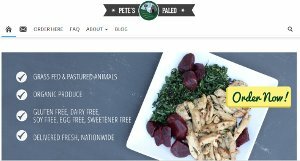 Pete’s Paleo is a national delivery service which promotes serious Paleo principles in its meal choices – including a complete exclusion of all sugars and sweeteners from its food. This makes Pete’s a great choice for those who are committed to eating healthier, with dedicated meal plans for those following the Sugar Detox or Wahl’s Paleo programs as supplements to the Paleo diet. Pete’s also forges close partnerships with farmers in the San Diego area, ensuring that all of their meals are both healthy and filled with fresh, locally-sourced ingredients. See petespaleo.com for a complete list of prices, meal plans and healthy food delivery Syracuse options. For our detailed write up on Petes Paleo including reviews, see our in-depth coverage on them. Caveman Chefs was founded in 2014 by Denver food industry veterans, and since then, it has received consistent acclaim from customers around the country. Its owners are personally committed to the Paleo diet, which shows in their commitment to fostering relationships with local Colorado farmers and creating hearty, satisfying meals for its meal plans (available in medium, large, and XL sizes). Caveman Chefs also offers exceptional accommodations for individuals with food allergies and special dietary requirements, making them a great option to fit just about anybody’s needs. Out of all the options listed in this guide, we hope that you have found one to help you increase the convenience and manageability of your Paleo experience. We’ve all had those times when the requirement of shopping for fresh, locally-sourced ingredients and cooking all of our own meals has seemed like an insurmountable challenge. Whether this is due to special circumstances which have left you with less time to cook, or just the stress of a constantly busy schedule, having your food delivered can help solve a lot of these problems. The local companies listed above can provide you with a convenient option right in the Syracuse area, and can act as a safety net for those times where you feel unsure about your ability to keep up with the requirements of the Paleo diet. And the national companies described above can all help you maintain these requirements on a long-term basis – while giving you the extra time in the day that you’ve always wished for. Whatever your individual situation, choosing one of the above companies can make your Paleo lifestyle feel much more manageable in the long run. If you have any suggestions of other places offering Syracuse Paleo Friendly Meal Delivery or know of Syracuse Paleo restaurants that might offer takeout or delivery options, please let us know in the comments below.